With their rather intriguing handle (allegedly referring to a former girlfriend of guitarist Reza Ryan’s), accompanied by equally intriguing cover artwork, I Know You Well Miss Clara are the latest gem unearthed by Moonjune Records’ Leonardo Pavkovic in the thriving Indonesian music scene. The quartet join fellow countrymen simakDialog, Tohpati and Ligro on the New York label’s ever-growing roster of progressive artists with their debut album, aptly titled Chapter One. Formed in 2010 in the erstwhile Indonesian capital of Yogyakarta (which is also a renowned centre for Javanese classical art and culture) when its members were studying at the Indonesia Institute for the Arts, the band caught Pavkovic’s attention during one of his frequent trips to South-East Asia in search of new talent. As pointed out in the liner notes (penned by esteemed music writer and King Crimson biographer Sid Smith), Chapter One was recorded in 18 hours, all of the tracks being first or second takes – a testimony to the band’s energy and enthusiasm for their craft. The album itself offers a refreshing take on the classic jazz-rock template so well interpreted in the Seventies by the likes of Return to Forever, Weather Report and Mahavishnu Orchestra – the latter being by far the biggest influence on the band’s sound. Canterbury outfits such as Hatfield and the North and National Health are also a clear source of inspiration for I Know You Well Miss Clara, as indicated by a playful exuberance that speaks volumes about the members’ enjoyment of music-making, coupled (though never in conflict) with a very high level of technical proficiency. If compared with simakDialog (whose latest album, The 6th Story, was released at the same time as Chapter One) I Know You Well Miss Clara are more firmly rooted in the Western jazz-rock tradition, with a lone drummer (the excellent Alfiah Akbar) employing a standard kit rather than a trio of kendang percussionists. Although their sound also places a stronger emphasis on guitar (which is not surprising, seen as Reza Ryan is the main composer), none of the four band members prevails on the other or indulges in showing off his skills. Opening track “Open the Door, See the Ground” starts out sedately, then veers into a more experimental mood, with dramatic drums and whooshing, spacey synth complementing Ryan’s sizzling yet tasteful solo. The interplay between the guitar and Adi Wijaya’s piano (both electric and acoustic) is spotlighted in the appropriately-titled “Conversation”, a more laid-back piece with an entrancing ebb-and-flow movement and plenty of melody. This elegant yet accessible approach, injected with sudden surges of energy driven by organ and guitar, is also pursued in the Canterbury-flavoured“Pop Sick Love Carousel”; while the album’s centerpiece, the almost 15-minute “Reverie #2”, starts out at a slow-burning pace, then gradually gains momentum – both piano and guitar emoting in almost improvisational fashion, bolstered by Enriko Gultom’s nimble bass lines – slowing down again towards the end. The shortest track on the album at around 4 minutes, “Love Letter From Canada” is also the most unusual: a haunting, emotional ambient study of surging keyboard washes, sparse guitar and cascading cymbals, it hints at interesting future developments in the band’s sound. Its mood is briefly reprised at the beginning of “Dangerous Kitchen”, which then morphs into a leisurely jazzy piece where guest Nicholas Combe’s sax and guitar work almost in unison, leaving some room for a bit of improvisation before the end. A lovely tribute to Ryan’s idol John McLaughlin – by the amusingly tongue-in-cheek title of “A Dancing Girl from Planet Marsavishnu Named After the Love” – closes the album in style, referencing the iconic “Dance of Maya” (from Mahavishnu Orchestra’s debut album, The Inner Mounting Flame) in a buoyant, dance-like ride interspersed by pensive, sax-led passages before its exhilarating, almost cinematic finale. Clocking in at around 63 minutes, Chapter One is never at risk of overstaying its welcome in spite of the length of the majority of its tracks. Successfully blending serious chops with engaging spontaneity and enthusiasm, I Know You Well Miss Clara’s debut is one of the best instrumental albums released in 2013 so far, and will delight devotees of classic jazz-rock/fusion – especially those who prize emotion over an excess of technical fireworks. Hopefully the band will follow in simakDialog’s footsteps and visit the US as soon as possible. Undoubtedly the best-known modern Indonesian outfit in a progressive rock/jazz context, simakDialog have attracted a cult following in the West since the release of their 2007 live album Patahan (their first for Leonardo Pavkovic’s Moonjune Records), followed in 2009 by Demi Masa. Formed in 1993 in the Indonesian capital of Jakarta by jazz-trained keyboardist Riza Arshad and guitarist extraordinaire Tohpati Ario Hutomo, the band released three albums – Lukisan, Baur and Trance/Mission – between 1995 and 2002 before Pavkovic took them under his wing and gave them international recognition. After a series of mishaps (including the cancellation of NEARfest 2011, where they were scheduled to appear), their long-awaited US tour – which coincided with the release of their fifth studio album, The 6th Story – finally materialized in the late summer of 2013, kicking off with a headlining performance at ProgDay that was unfortunately interrupted by heavy rain, and wrapped up by a very well-attended show at the Orion Studios, introduced by French avant-garde trio Jean-Louis. As used and abused as the “East meets West” definition can be, there is no better way to describe simakDialog’s music to the uninitiated. Alongside electric guitar, bass and that iconic cornerstone of jazz-rock, the Fender Rhodes electric piano, the six-piece configuration of the band features a trio of percussionists in the style of the traditional gamelan ensembles – Erdang Ramdan and Erlan Suwardana playing the Sundanese two-headed kendang drums, and Cucu Kurnia (the band’s most recent addition) handling metal percussion. The result is a uniquely warm sound with a remarkably natural flow, capable of flashes of angularity and even brief forays into noise, yet never overwrought. In addition, though each of simakDialog’s members is a virtuoso of his own instrument, the band emphasize ensemble playing at its finest rather than technical flash, with individual skills put at the service of the composition rather than the other way round. SimakDialog’s music, on the other hand, may not prove to be the easiest proposition for those who are used to the in-your-face antics of many traditional prog bands. Subtlety is the operative word on The 6th Story, and that in itself requires a lot of patience on the part of the listener. Their leisurely, unhurried approach to live performance has also more in common with Eastern than Western tradition, focusing on the sheer joy of playing and the creation of subtle moods rather than the head-on adrenaline rush of the standard rock concert. Clocking in at a handful of seconds under an hour, The 6th Story (the band’s first entirely instrumental album in over 10 years) opens with “Stepping In”, the album’s longest track, which aptly illustrates simakDialog’s modus operandi. While the sinuous interplay of Tohpati’s guitar and Riza Arshad’s scintillating Fender Rhodes immediately leaps out from the speakers, it is the joyful mayhem of the three percussionists that impresses in the long run, bolstered by Adithya Pratama’s impeccable bass emerging every now and then in the foreground. The track unfolds with supreme elegance, spiced up by sound effects that turn slightly chaotic towards the end. The 9-minute “Lain Parantina” also conveys a sunny, bright feel with its oddly catchy main theme and skillfully handled tempo changes, gaining momentum then slowing down to an almost sparse texture, held together by the steady stream of percussion. Tohpati’s guitar is spotlighted in the much shorter “Harmologic”, while the piano takes an almost supporting role, working almost as an additional percussion instrument. In the second shortest track on the album, “Common League”, soundscapes add an intriguing note to the lively yet fluid sparring of piano and guitar. 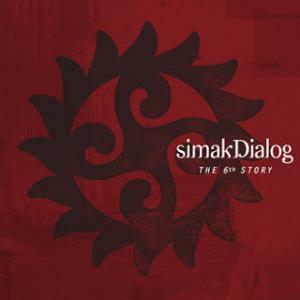 SimakDialog’s more energetic side surfaces in “5,6”, where Tohpati displays his rock credentials (amply demonstrated in his power trio Tohpati Bertiga’s 2012 debut, Riot) with a distorted guitar solo; while the upbeat “For Once and Never” revolves around the expressive, almost conversational interplay of the two main instruments, supported by Pratama’s versatile bass. The discreet, laid-back “What Should I Say” pleases the ear with its smooth sounds, and “As Far As It Can Be (Jaco)” – a tribute to the ground-breaking bassist written by Arshad together with fellow Indonesian musician Robert M.K. – takes on a suitably elegiac tone, full of lovely, stately melody. “Ari” then closes the album by giving synth a leading role alongside the piano, with the ever-reliable percussion background seconding the music’s ebb and flow. For the audiophile, headphones will be a must in order to savour The 6th Story in full, as letting it run in the background will definitely not do any favours to the music’s understated elegance. Although the album may resonate more with jazz fans than the average prog audience, it is highly recommended to all open-minded listeners, especially those who enjoy the influence of different ethnic traditions on established Western modes of expression. All in all, The 6th Story is an extremely classy effort (and one of the standout releases of 2013) from a group of very nice, unassuming and talented musicians, whom I hope to see again in the US very soon. Though their name might not be familiar to many progressive rock fans, Volto! 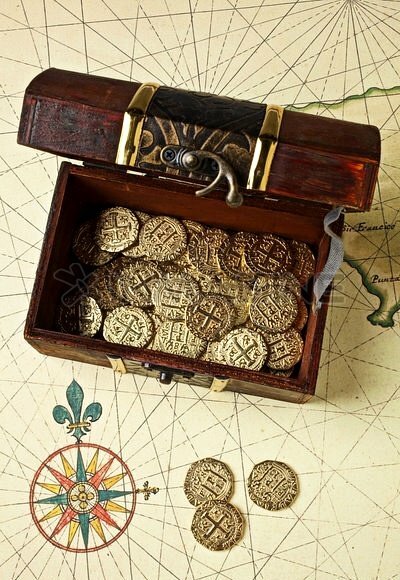 have been around since the start of the new century. Formed by drummer extraordinaire Danny Carey (of Tool fame) together with guitarist John Ziegler, his former bandmate in Pigmy Love Circus, and session bassist Lance Morrison (who is also a member of Don Henley’s touring band), they started out as a cover band, playing live in the Los Angeles area whenever it was possible for them to get together. A few years later, they ventured into writing and performing their own material. The next logical step was to head into Carey’s home studio to record their debut album, enlisting the services of veteran session keyboardist Jeff Babko and engineer Joe Barresi (who worked on Tool’s most recent album, 10,000 Days). 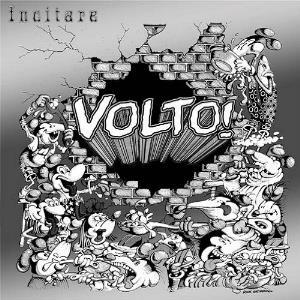 Incitare was released in August 2013, coinciding with Volto!’s appearance at Yestival in Camden (NJ), alongside Yes, Renaissance, Carl Palmer Band and Sound of Contact. Anyone who approaches Incitare hoping for some Tool-related music to fill the long wait for the cult quartet’s next album is bound to be disappointed, because Volto!’s debut shares very little (if anything) with Tool’s intense, esoteric sound. In spite of its high-sounding Latin title (“to drive/encourage”), the album is full of the genuine pleasure of playing music, as reflected by the humorous, cartoon-inspired black-and-white cover artwork. While the impressive résumé of the band members might lead some listeners to expect a triumph of style over substance, Incitare comes across as surprisingly easy on the ear. The music possesses a natural flow that is not always associated with such an amount of technical skill: it is exhilarating, energetic and often quite heavy, but never used as a showcase for pointless fireworks, and also unexpectedly melodic. That being said, Incitare does not lay any claim to being innovative – rooted as it is in the classic jazz-rock tradition of the Seventies, with just a touch of contemporary flair to spice things up. The prominent role of drums and guitar and their seamless, scintillating interplay evoke Billy Cobham’s collaboration with Tommy Bolin on the seminal Spectrum album, or Mahavishnu Orchestra circa Birds of Fire; on the other hand, Jeff Babko’s bold keyboard work hints at some modern-day heavy fusion outfits such as Derek Sherinian’s Planet X (as well as his solo work). These comparisons immediately spring to mind as “Grip It” opens the album, its fiery, relentless guitar riffs and keyboards backed by Carey’s pyrotechnic drumming; the pace slows down towards the middle, with Ziegler delivering a clear, piercingly melodic solo before things heat up again. The next two tracks showcase the band’s skillful handling of contrasts between dynamic urgency and more laid-back moments. Electric piano lends its unmistakable touch to the intriguing structure of “Gillz”: in the first part, the instruments apparently play at odds but manage to keep a sense of cohesion, while the pace quickens in the finale, driven by lively drums and heavy riffing. “Whopner” is pervaded by a mysterious atmosphere, with faraway-sounding guitar and an almost military drumbeat; then organ takes the lead and drums gain momentum. As hinted in the title, “Drumbeaux” – at over 8 minutes the longest track on the album – spotlights Carrey’s celebrated skills, its central section dedicated to a drum solo that does not overstay its welcome, bookended by spacey, riff-heavy ensemble playing. Airy and melodic, “Quirk” brings back again echoes of Cobham’s Spectrum, with guitar and electric piano indulging in an elegant duet; while “BHP” barges in with a funky swagger and a barrage of crunching riffs, underpinned by spacey electronics and Carey’s spectacular drumming, then turns subdued, almost romantic in the middle, displaying the band’s ability to shift gears in seemingly effortless fashion. 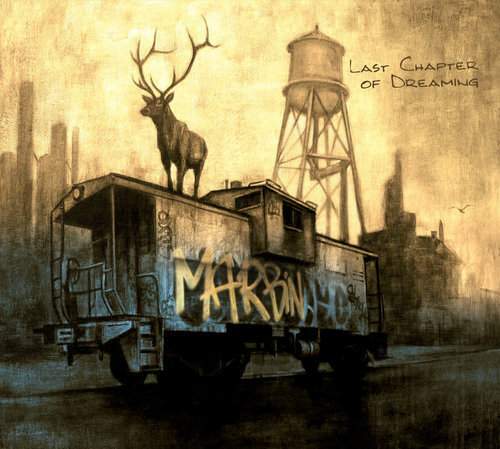 The aptly titled “Meltdown” sees the band dabble with all sorts of electronic effects, while Carey lets rip on his kit, apparently having the time of his life; then the sleek, bass-driven ride of “Tocino” brings things back to normal, with Lance Morrison finally stepping into the limelight and elegant piano flurries enhancing the brisk pace of the track. The album closes on a high note with the power-ballad-meets-vintage-fusion of “I’m Calm Now” – Ziegler’s slow-burning lead reminiscent of Jeff Beck or Gary Moore (especially in his Colosseum II days), then leaving the stage to Babko’s eerily reverberating electric piano and moody, understated synth. Besides its obvious appeal for fans of impeccably played classic jazz-rock/fusion (especially those who are not averse to a bit of heaviness), Incitare is also a very cohesive piece of work, and avoids the temptation of sprawling, overlong compositions. It also celebrates the joy of playing music at a very high level of proficiency without hitting the listener over the head with one’s chops. In these times of studio-only projects, often conducted over the Internet without any physical contact between the musician, it is heartwarming to see an album that has its origins in live performance – an excellent example of instrumental music that sounds fresh and engaging without pretending to reinvent the wheel. With a name taken from theoretical physics, which in English translates as “string theory” (particularly suited to a musical venture), French band La Théorie des Cordes started out as a trio in 2010. Their debut album, Premières Vibrations, released in 2011 on Musea Records, was recorded with a fourth musician, Maxime Jaslier, guesting on two tracks. In the summer of 2012, the band’s core members – guitarist Mathieu Torres and pianist Stéphanie Artaud – were joined by drummer Ophélie Luminati (who replaced original member Tadzio Gottberg), reedist/percussionist Julien Langlois and bassist George Storey, so that the trio has now become a quintet. In the meantime, La Théorie des Cordes have started recording their second album, titled Singes Electriques, and have also been busy on the live front. Their schedule for 2013 includes a slot at the prestigious Crescendo festival in the month of August. La Théorie des Cordes call themselves “a creative family”, and theirs is a multifaceted concept, involving the use of elaborate stage costumes, the realization of videoclips, and a lavishly illustrated CD booklet in which a set of high-sounding “lyrics” explains each of the completely instrumental tracks. Indeed, Premières Vibrations comes across as a very ambitious project. In spite of their obvious youth, the band members are extremely accomplished, and their music – an elegant, deeply melodic form of jazz-rock with an appealingly warm Latin tinge, and occasional forays into edgier territory – relies on a rather idiosyncratic configuration that rules out the bass guitar (here only present in one out of seven tracks), and hinges on the scintillating interplay of Stéphanie Artaud’s piano and Mathieu Torres’ guitar. Clocking in at around 58 minutes, and featuring 7 tracks with an average running time of 8 minutes, Premières Vibrations is not excessively long for today’s standards, and does not outstay its welcome. On the other hand, while the music is overall very pleasing to the ear, with a smooth, natural flow, it sometimes gives the same impression as those stories whose author likes to use a lot of words to express a relatively straightforward concept. The tracks all share a similar structure, alternating slower and faster sections in which guitar and piano take turns into the spotlight, with drums providing a dynamic and often inventive rhythmic accompaniment – sometimes resulting in a loose, almost rambling feel. Opener “Supernova” aptly exemplifies the album’s general direction, introducing the instruments almost tentatively, and then gradually building up, with Mathieu Torres’ brilliant guitar neatly meshing with fluid piano. The Latin-flavoured “Rêves Premonitoires” is enhanced by the presence of Maxime Jaslier’s saxophone, which duets with the two main instruments adding depth of expression to the sound. At almost 10 minutes, the sedate, vaguely somber “D’Hêtre À Être”, is perhaps a tad overlong and somewhat monotonous, though picking up towards the end; while “Singes”, enhanced by electric piano and echoing effects that oddly reminded me of Pink Floyd, blends a haunting atmosphere with some harder-edged moments. “Le Bas Art de l’Épouvante” marks a sharp change of mood, with its almost cinematic sweep and dramatic tempo shifts, pauses of respite followed by piercing guitar and cascading piano. As its title (“modern lullaby”) implies, the jazzy “Berceuse Moderne” is stately and soothing, with discreet drumming and bass adding some bottom end to the airy exertions of the guitar and piano. Finally, “Renaissance” pushes the heavier elements to the fore – especially those guitar riffs that had been lurking in the background in some of the previous tracks – evoking comparisons with King Crimson circa Thrak and The Power to Believe. In spite of the misgivings previously expressed on some aspects of the composition, Premières Vibrations contains some fine music that is likely to please fans of classic jazz-rock, especially those who prize melody as well as technical skill. Thankfully the album is devoid of that deplorable tendency to show off that sometimes mars other releases in the same vein, though La Théorie des Cordes should keep a tighter rein on the compositional aspect. In any case, the album is a rewarding listen, and a promising debut from a group of excellent musicians.